Tiger Rip Cohesive - Feel Right, Feel Ready! Tiger Rip Cohesive is a great multi-tasker and a kitbag essential for any athlete or medical professional! 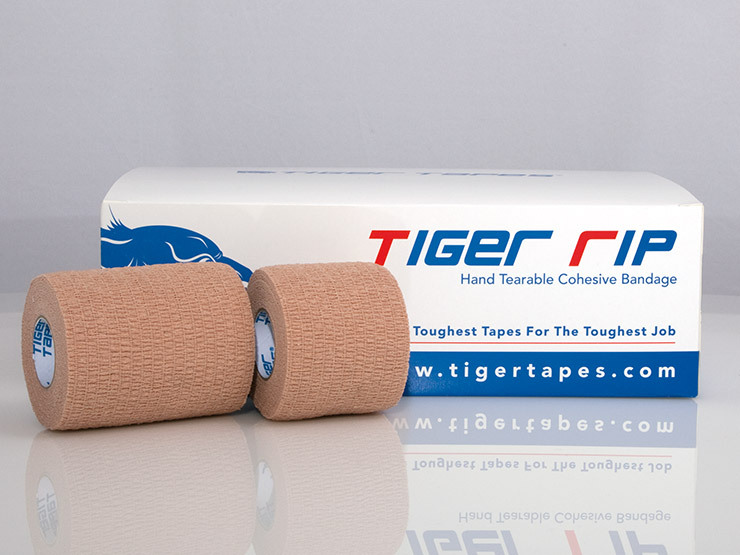 It is a stronger alternative to our Tiger Rip Lite Cohesive which, once applied, delivers lightweight compression and support without the sensation of tape applied to the skin. 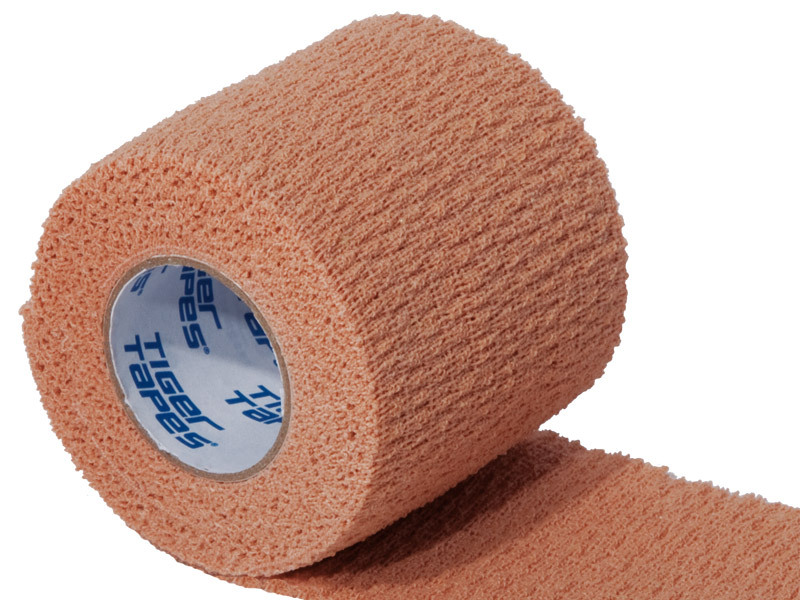 Tiger Rip is a strong cohesive stretch bandage made from a hand-tearable woven cotton spandex. It provides excellent and sustained support and compression without adhering to the skin, making it easier (and less painful!) to remove than typical adhesive tapes. Tiger Rip Cohesive feels right when you need support and you can be totally sure will stay in place without slipping or moving. Moreover, it can be worn for longer periods of time due to its water, sweat and dirt repelling properties. Plus, as cohesive bandages aren't sticky, it's easy to unpeel and reapply if there's a mistake in application or if you require a tighter compression. You could even use the same piece of tape multiple times! Its superbly elasticated fabric is ideal for strapping and providing support. Can be used as a blood spill tape as its woven material will absorb fluid. Versatile compression wrap for securing dressings and ice packs. Used in football to secure shin-pads, hold up socks and offer added protection to the goalkeepers' hands, fingers and wrists. Helps protect hands against blisters. Slip-resistant when applied to body providing a superb strapping for many injured areas. Excellent for strapping holding ice packs or blood stemming dressings. 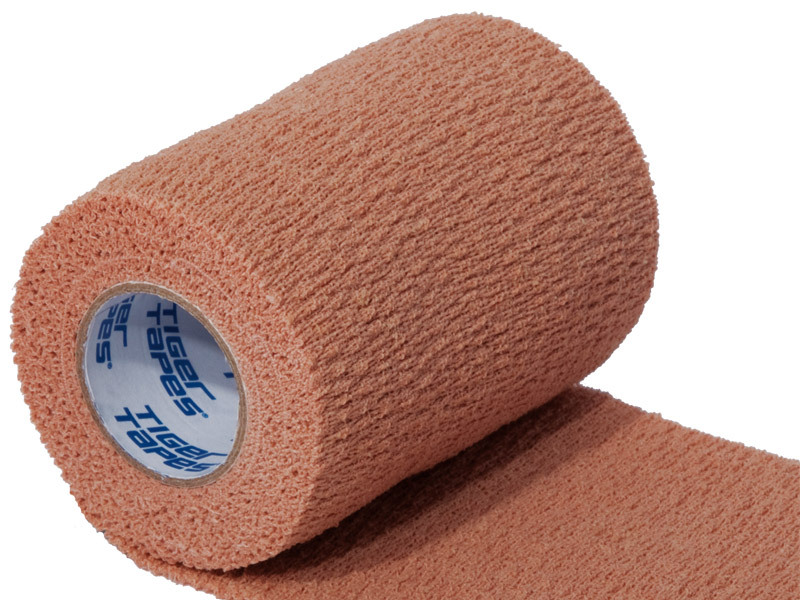 we use this mainly for applying ice packs and/or compression at rugby club. good cohesive, works well.